We are leading supplier of Promotional Bottles. Manufacturer, Exporters & Suppliers of A vacuum flask Dewar flask, Dewar bottle Thermos, stainless steel, coffee cups, mugs, and other food containers formerly Aladdin-Stanley Great for work, fishing, hunting, Beverage Bottle, ThermoCafe thermos or hot/cold to-go mug. 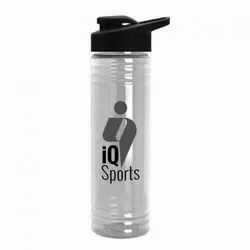 Banking on the skills of our qualified team of professionals, we are instrumental in offering supreme quality range of Promotional Water Bottle. We have varied range of Sipper Bottle in different capacity, size and models. Usage/Application: Personal Use,Birthday Gift,Corporate Gift,Etc. Capacity: 500 ml,600 ml,750 ml.